Machinepacks are sets of related utilities for performing common, repetitive development tasks with Node.js. The registry daemon syncs with NPM every 10 minutes, then imports only those packages which are available under a permissive, open-source license such as MIT. Currently, the public registry hosted on node-machine.org contains 195 machinepacks with a combined total of 875 machines. A machinepack that allows you to work with ages. Node.js wrapper for the AngelList API. Support for login, logout, and authentication via encrypted cookies and a session store. Upload files to S3 buckets and more with Treeline. Work with the Microsoft Azure API. Work with true/false values and boolean operators like AND (&&), OR (||), NOT (! ), and the ternary qualifier (?/:). Use require() in the browser. Works with the Cloudflare API. 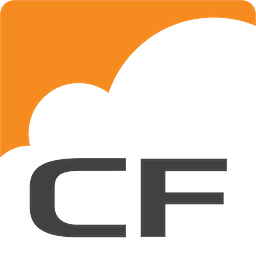 Node.js wrapper for AWS CloudFront. Communicate with the CoinDesk API to get bitcoin index prices. Work with the console/terminal. Supports logging text output and reading user input via interactive prompts. Work the dates and times. Communicate with a DemocracyOS Manager API to manage Deployments. Communicate with the DigitalOcean API to create, destroy, list and work with droplets. Generate a png from an office document or from a pdf file. Computes Depth of Field property of specific photoshoot attributes. Access the ElasticSearch API in Node.js. Simply send an email with nodemailer/email-templates (includes support for HTML email templates). Communicate with Facebook to authenticate, get profile data, friends, likes, and more. Work with the local filesystem; list files, write files, etc. Communicate with the Fred API to get series, releases, observations, etc. Machines for working with the `git` command line interface. Communicate with the Github API to get repos, commits, etc. Communicate with Google Customsearch API. The JWT authorization is ideal for performing server-to-server communication without asking for user consent. Work with google aPIs developer fonts. Work with google aPIs discovery service. Work with google aPIs pageSpeed insights. Communicate with the Gravatar api to get a gravatar image. Work with the Heroku API. Machines for branching based on comparisons, validations, etc. Communicate with the Instapaper API to grab bookmarks for a user. Node.js utility for working with the JSON-schema spec. Work with JSON Web Tokens. Handle JSON Web Token authentication requests. Communicate with the Klout API to get Ids, Klout Scores, etc. Machinepack that communicates and interacts with the Linkedin api. Work with local treeline projects. Node.js API wrapper for the public machine registry hosted at http://node-machine.org. Work with machines and machinepacks. Communicate with the Mailchimp API to work with lists. Machines for the Mailgun API. Machines for talking to the Mandrill API. Integrate with the Moneywave API (Flutterwave) for payments and transfers. Structured Node.js bindings for MySQL. A machinepack to touch DNS, Default Gateway, Network Time, Etc. Cool stuff for Node.js Austin. This machinepack provides an easy-to-use key/value pair-based database using the HTML5 localStorage model. Talk to npm-stat.com to get NPM statistics. Recognize text in images using OCR (optical character recognition) techniques. Communicate with the Mozilla Backpack API to get badges, collections. Methods for communicating with the OpenWeather API from Node.js; e.g. to get current weather for a city, or for a specific latitude and longitude. Utilities for handling and transforming file paths. Work with the PhantomJSCloud.com API to render HTML web pages, etc. Fetch data about Pokémon, their moves, abilities, types, egg groups and much much more. Structured Node.js bindings for connecting and running queries against a PostgreSQL database. Produce interactive prompts in the console and consume the answers. Structured Node.js bindings for Redis. Simple tool to return variables created earlier in a Treeline circuit, at the end of the circuit. General purpose machines for interfacing with a Sails application. Manage users, actions, cohorts and more w/ Segment. Read or write data to the session store indicated by the cookie in the current request. Use the Slack API via Node machines. Publish messages to rooms and/or sockets and more using Sails & Socket.io. Implementation of sorting algorithms as node machines. Communicate with SoundCloud to authenticate, get profile data, tracks, playlists, and more. Work with StatusCake API to get Tests, Contact Groups, Alerts, etc. Communicate with Steam Web API to query Steam information. Communicate with the Stripe API to start and stop stripe subscriptions. Create an SVGs sprite from multiple SVG source files. Communicate with the Timetask API to get times, projects, etc. Communicate with the Treehouse API to get profile data. Tools for handling Treeline errors in userland applications and packages. Interact with the Twilio API; buy numbers, release numbers, send messages, etc. Communicate with the Twitter API to get profile data, tweets, followers, and more. Communicate with the Uber API to get price estimates, time estimates, etc. This machinepack is a screen capture service. Miscellaneous utilities for everyday tasks with arrays, dictionaries, strings, etc. Communicate with uTorrent client API to list and add torrents. Communicate with the forecast.io API to get weather forecasts. Work with yelp 2.0 API. Communicate with the Youtube API to get video views, etc. Zip and unzip files or directories in Node.js.